We check over 450 stores daily and we last saw this product for $27 at Bebe. 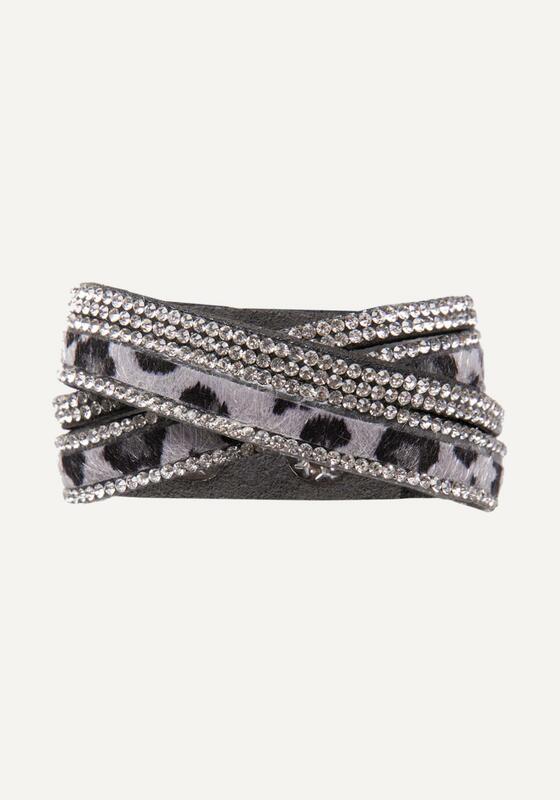 Fabulous bracelet in faux leopard bordered by glittering crystals. 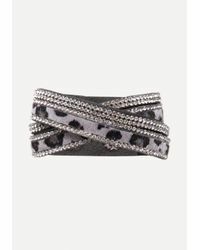 Street-style crisscross wrap design. 90% Polyester, 10% glass. Snap closure.